Your skin care routine needn’t be complicated, and we don’t believe you need to spend a large amount of money on multiple skin care products to get great results. In fact a few simple, natural, high performing, multipurpose skin care products is all you need to cleanse, moisturise, exfoliate and mask as needed. When it comes to simple, natural, high performing, multipurpose skin care products, we love how efficient and effective plant oils are to use. 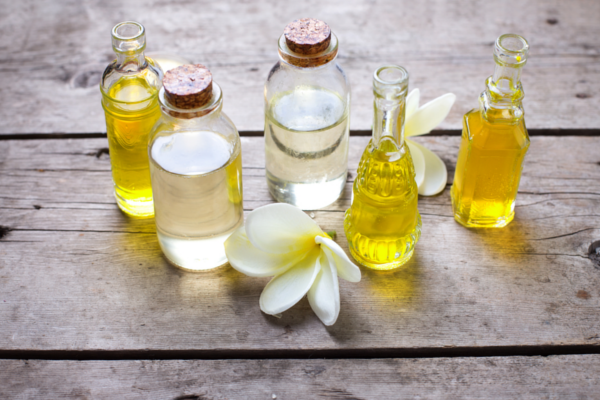 Plant oils are extracted straight from the plant without being modified by a chemical process. Think jojoba, rosehip, almond and argan oil to name a few. They are multipurpose too. 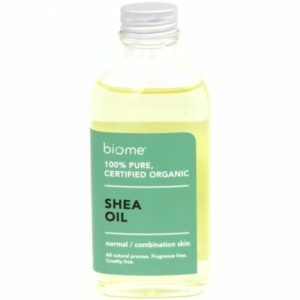 You can use oils in your skin care routine to deeply cleanse, moisturise, tone and rejuvenate skin, and you don’t need to use much, so they are quite cost effective. 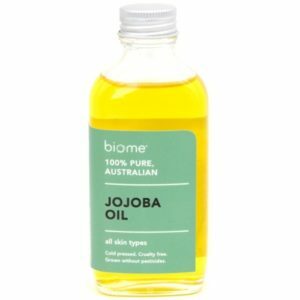 There is an oil to benefit all skin types, even oily and acne prone skin, and you can find the best oils to suit you and your skin care routine at Biome. In terms of ‘simple’, here at Biome we support products that contain ingredients that are as close to nature as possible. Ingredients that haven’t been modified by a chemical process, and products that are free from petrochemicals, synthetic preservatives, detergents, colours and fragrances. We also look for products that are completely transparent with regards to their ingredient supply chains. Transparency, or lack thereof, as well as catastrophic environmental destruction is why you won’t find products with palm oil and palm derived ingredients at Biome. 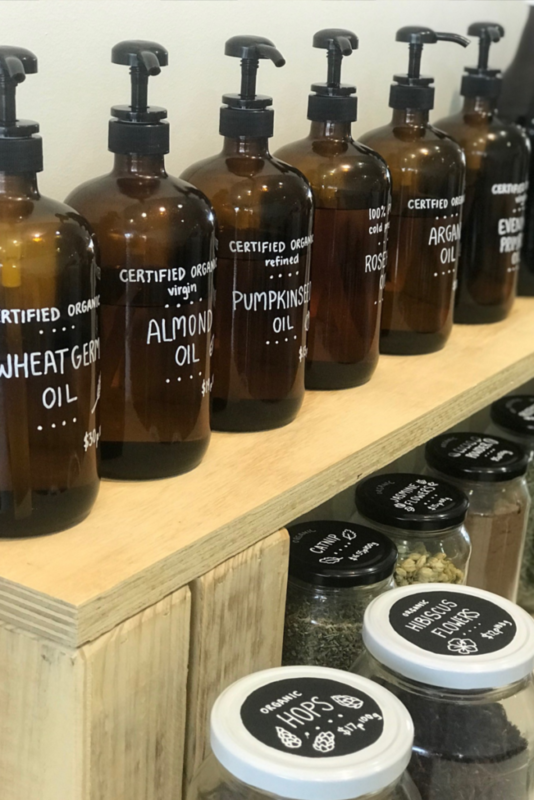 If you’ve stepped inside one of our stores recently or visited us online, you will have discovered the incredible range of raw, naked ingredients available for you to purchase package free to make your own skin care products. In fact we have a huge range of raw ingredients, recipes for you to try and workshops for you to attend. 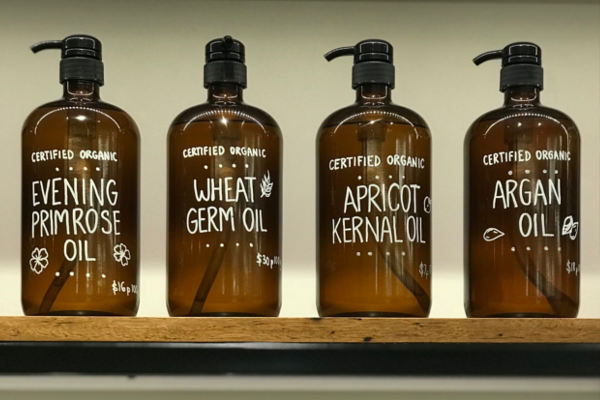 Well we’ve recently added a range of beautiful oils to our collection, and you can see these exclusively at our Paddington and Indooroopilly stores in Brisbane. You can use these oils to make your own skin care products, and in fact your entire skin care routine – cleanse, moisturise, exfoliate and mask. By using oils and making your own skin care products, you can embrace the idea of minimalism, simplify your skin care routine, and know exactly what you’re putting on your skin. So how can you simplify your skin care routine and use these oils to cleanse, moisturise and treat? Read on! Dry and mature skin is characterised by almost invisible pores, a dull and rough complexion, red patches, less elasticity and visible lines. Plant oils that best suit dry and mature skin include avocado, argan, evening primrose, wheatgerm, rosehip, almond, apricot, pumpkin seed and olive oil. Try adding one or more of these to your skin care routine. Combine one or more of the above oils in a 100ml dropper bottle and use the oil cleansing method to cleanse as required – massage a small amount of oil into skin using circular motions for about two minutes. Apply a warm wet face washer to face and gently wipe to remove excess oil. After cleansing, spritz with rose hydrosol, wait a few moments before applying a few drops of rosehip oil. Use after cleansing. Combine a small amount olive oil with Biome’s Purple Clay & Hibiscus 3-in-1 Face Clay until it is a smooth consistency. To scrub, gently massage into skin using circular motions. To mask, apply to face and leave for 10 minutes. Wipe off using a warm wet face washer. Follow with a spritz of rose hydrosol, and a few drops of rosehip oil. Sensitive skin may be prone to redness, itching, burning and dryness. If you have sensitive and irritated skin, we recommend avoiding known triggers (e.g. certain skin care ingredients, UV radiation, etc.) as much as possible. Always patch test a new skin care product first. Plant oils that best suit sensitive skin include apricot kernel, jojoba, almond, pumpkin seed, evening primrose and rosehip oil. Try adding one or more of these to your skin care routine. After cleansing, spritz with 100% pure chamomile hydrosol, wait a few moments before applying a few drops of jojoba oil. Use after cleansing. 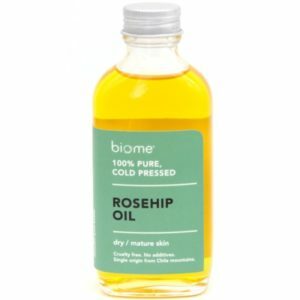 Combine a small amount of pumpkin seed oil with Biome’s Pink Clay & Rosehip 3-in-1 Face Clay until it is a smooth consistency. To scrub, gently massage into skin using circular motions. To mask, apply to face and leave for 10 minutes. Wipe off using a warm wet face washer. Follow with a spritz of chamomile hydrosol, and a few drops of jojoba oil. Oily and acne prone skin is characterised by enlarged pores, a dull or shiny, thick complexion, blackheads, pimples or other blemishes. The weather, stress and hormones may cause or worsen oily skin. 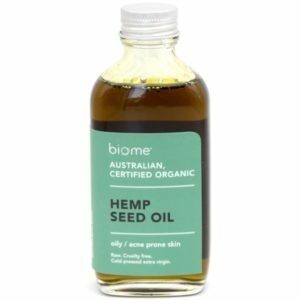 Plant oils that best suit oily and acne prone skin include hemp seed, jojoba, pumpkin seed, almond, and argan oil. Try adding one or more of these to your skin care routine. After cleansing, spritz with alcohol free 100% pure witch hazel, wait a few moments before applying a few drops of hemp seed oil. Use after cleansing. Combine a small amount of almond oil with Biome’s Bentonite, Witch Hazel & Charcoal 3-in-1 Face Clay until it is a smooth consistency. To scrub, gently massage into skin using circular motions. To mask, apply to face and leave for 10 minutes. Wipe off using a warm wet face washer. Follow with a spritz of 100% pure witch hazel, and a few drops of hemp seed oil. Characteristics of combination skin include skin that is oily in some areas but dry in others. Normal skin on the other hand has no or few ‘imperfections’, does not appear to be shiny, has no severe sensitivity and pores that are barely visible. Plant oils that best suit normal and combination skin include jojoba, shea, rice bran, hemp seed, pumpkin seed, argan and almond oil. Try adding one or more of these to your skin care routine. After cleansing, spritz with orange flower hydrosol, wait a few moments before applying a few drops of shea oil. Use after cleansing. Combine a small amount of rice bran oil with Biome’s Green Clay, Seaweed & Spirulina 3-in-1 Face Clay until it is a smooth consistency. To scrub, gently massage into skin using circular motions. To mask, apply to face and leave for 10 minutes. Wipe off using a warm wet face washer. Follow with a spritz of orange flower hydrosol, and a few drops of shea oil. How palm oil sneaks into your face care routine and how to avoid it!